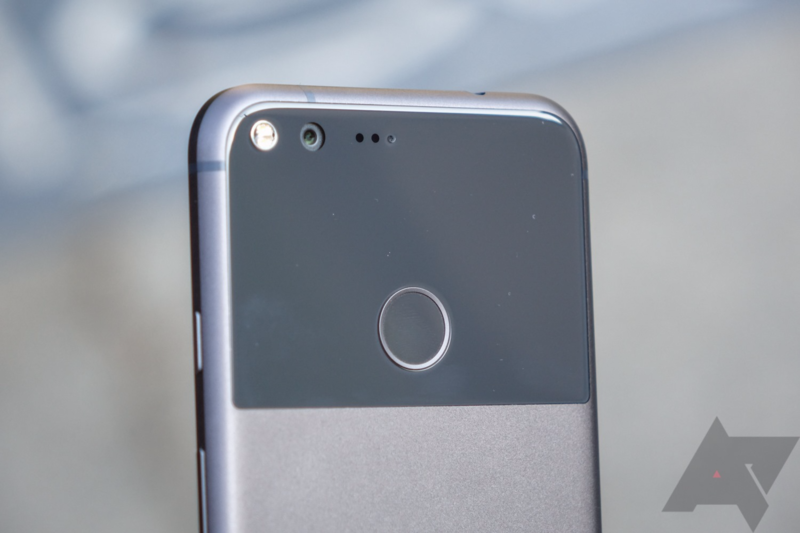 Back in November, when the Pixel was slowly beginning to ship to customers, there were numerous reports of people getting their Google accounts banned for purchasing Pixel and Pixel XL devices with the intent to resell them. It turns out that this issue hasn't exactly been laid to rest, as it seems that Pixel phones purchased from Project Fi for this purpose are now getting blacklisted via their IMEI numbers. As an overview, people originally bought Pixels from both the Google Store and Project Fi to sell them to a New Hampshire-based reseller. Why New Hampshire, you may ask? There's no sales tax. Both parties here were supposed to make a profit, but Google ended up banning a ton of accounts for a violation of their terms of service.. Considering how important Google is in our lives (Gmail, Google Photos, YouTube, Play Store, etc. ), a lot of people were obviously not happy. In the end, Google did restore many of these accounts, but it was obviously enough for a good scare. "Sorry to hear of the complaints. We have seen a great number of Pixel devices becoming blacklisted the past two days. We are still trying to figure out why this has happened to so many devices. We are working to find out the cause of this widespread issue. It would be best for both of you to keep on top of Google and pressing them for an explanation. In one other case, I saw this morning Google agreed to send the buyer a replacement device so that might be an option to look into. Seller please work with the buyer and Google to see if they can get to the bottom of it." Kyle then contacted Google support, with the first representative claiming that he had simply received a spam message. 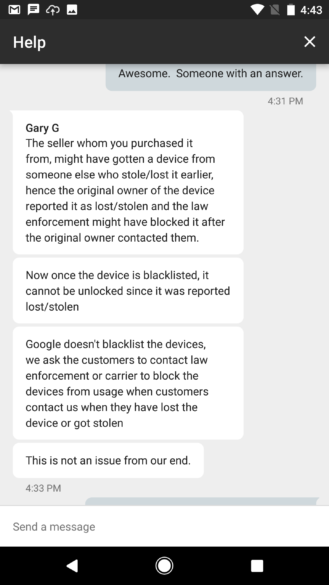 When he showed a second rep how his IMEI had indeed been blacklisted via Swappa's ESN/IMEI checker (useful tool if you're buying a phone, by the way), he was told that his Pixel XL hadn't been reported as stolen, but that it had been originally purchased through Project Fi. Kyle was also once again told that his phone hadn't really been blacklisted, but a quick rescan of his IMEI in Swappa proved otherwise. His case was escalated to Project Fi's support team, but the customer service rep refused to give him a reference number and told him that he'd receive it via email. After contacting a third representative, Kyle was informed that his phone had indeed been blacklisted, but that Google wasn't responsible for doing so. This lends further credence to the Project Fi explanation, as it's the carrier and not the manufacturer that has the ability to blacklist devices. The situation is still ongoing, but that's all we know for now; we'll update with more information as we get it.